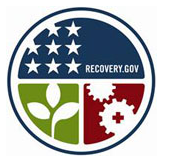 What ideas, tools, and approaches can make Recovery.gov a place where all citizens can transparently monitor the expenditure and use of recovery funds? This project is part of a partnership with the National Academy of Public Administration (NAPA). which sponsors the most excellent Collaboration Project. The Collaboration Project is creating a set of case studies on the best uses of collaborative technologies and new media in government. They also sponsored a national discussion on health information technology and privacy. For starters, I have a minor suggestion: stop asking visitors to click through to a PDF for more information. Information is much more accessible when it's not buried in a PDF. More transparent, if you will. Anyway, this is a great opportunity for a government agency to learn what people want, need and expect. I look forward to logging in this week--the project is open for seven days--and providing some substantive feedback. Hope you do, too! I agree that it's better to not bury content within PDFs. But I think that's more of a usability issue and not a transparency issue. It doesn't matter if the information is in PDF, Word, XML, HTML, etc...it's transparent if it's out there and we can get to it. But getting to it, buried in a PDF, is a usability issue. Personally, I want to see what is going on in my location with Recovery Act projects...down to the local level on a Google Map. I know it's hard to map where all the money is going, but I want to see where the actual work is getting done and who is doing that work...and then why that project is considered important to recovery of the Nation's economic problems. @Govy thanks for sharing your thoughts. I agree that getting meaningful information on what's happening at the local level--or what's in it for me?--will help people understand and track ARRA efforts. I disagree, though, that the format of the information is irrelevant. Every bump in the road is a barrier to accessing information. And, that's a barrier to transparency. The point is to make information--and really data--easily accessible, That it exists in a powerpoint or pdf document, when it could easily be in html make it a bit less accessible and therefore a bit less transparent. It's not only what we say, but how we say it.